When I realised that today was March 1st, it dawned on me that my spring races are coming up REALLY soon. So soon that I decided I should keep reminding myself of how many days away they are on my office computer. Knowing that my races are coming up pushes me to train harder. Really, only 32 days until my hilly Harry race? It feels like just yesterday the snow was starting to fall. Having my goals staring at me in the face is an amazing constant reminder that I have to keep pushing myself. I’m the type of girl who loves deadlines. If I don’t have a deadline and an agenda– I forget. I just have too many thoughts in my head that always come out. This is why one of my nicknames is Dory after the fish from Finding Nemo. I guess everyday is a Triple Tangent Tuesday for me! Goals and post-its. They’re my favourite. Last night at boot camp I really felt that I have come a long way from day one of stepping into that class. Last night I was competitive. And not with the others in the class but with myself. When we did speed intervals- I was running like I was being attacked by a dog. I’m scared of dogs. Only the ones that are bigger than me. That is pretty much all of them. When we started doing tire runs I started feeling like Kelly Kapowski in the episode of Saved By The Bell, “Zack’s War” when they are training like they are in the army. The only difference was that I had to imagine the tires because we didn’t actually have them. I guarantee I looked ridiculous (not as ridiculous as the platypus walk) and I felt great! I’m really sad that next week will be my last boot camp session for the winter. I’ve really learned to love boot camp! This also means that it’s the last night of coming home and having a post-workout smoothie while watching The Bachelor. A season finale and the last winter boot camp class?! It’s just crazy that they both end on the same night! 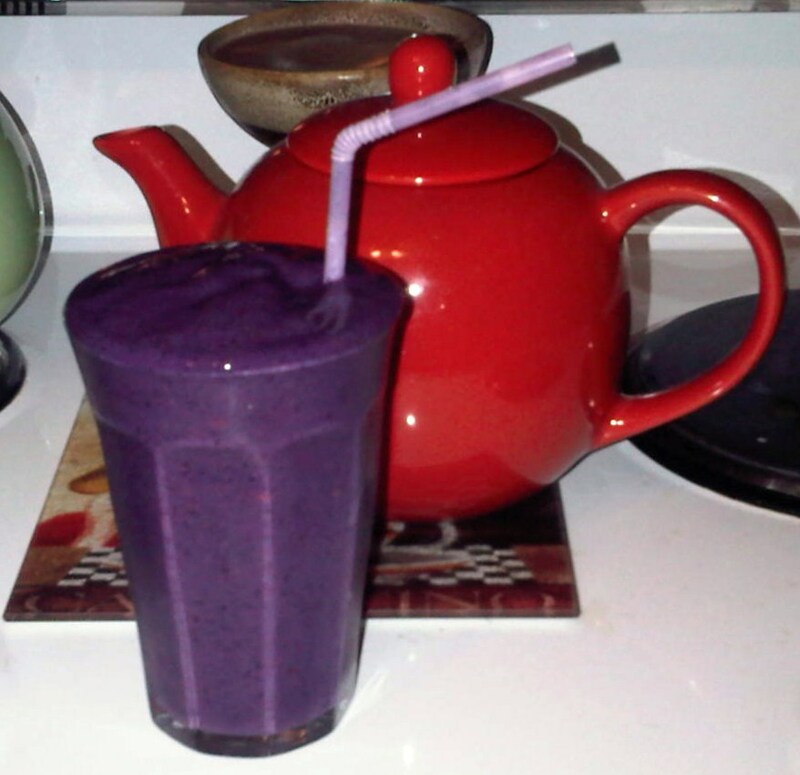 Last night’s smoothie was a four fruit (raspberry, blackberry, blueberry, and strawberry), ground flax seed, and soy smoothie. Deeelish! 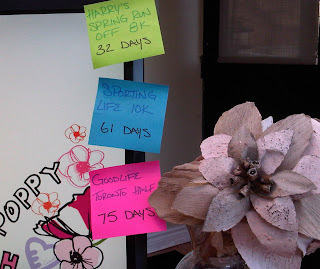 This entry was posted in Boot Camp, GoodLife Toronto Half Marathon, Harry's Spring Run Off 8K, Sporting Like 10K, The Bachelor by Siobhan McCarthy. Bookmark the permalink.